Spring is the time to really take stock of how your home looks. Whether you’re refreshing for your own fun and sense of accomplishment or are preparing your property to go on the market, curb appeal is a big deal. So, how do you get more of it without spending too much? There’s no way around it. Professionally-applied exterior paint offers a phenomenal return on investment, and can drastically transform your home in a relatively short amount of time. Prospective buyers would much rather see a fresh surface than an imminent project. You might not need a complete repaint. Touch-ups and repairs can help the body of your home look fantastic, leaving an opportunity for smaller updates to be the icing on the cake. A stylish door color (or stain) and attractive shutters can do the trick! Once dry rot moves in, the only remedy is swift repair or replacement of the infected wood. Eaves, trim, doors, and decks in particular tend to suffer, and few issues will make your home look less appealing. Catch and repair it now before a home inspector points it out. Not only does a roof that’s in good repair look nice, but it also creates priceless peace of mind for potential buyers. Having an expensive fix literally hanging over their heads is a deterrent. If your roof is neither new nor old, you can at least have it inspected. A home improvement or roofing company can take a look, offer any suggestions for needed TLC and servicing, and provide a fair assessment of its condition. Your home’s exterior surfaces are important, and they include more than just siding. Taking the time to repair loose bricks in a walkway, or to reseal your driveway, will go a long way. Another awesome way to refresh surfaces that are in good repair is to invest in professional pressure washing. 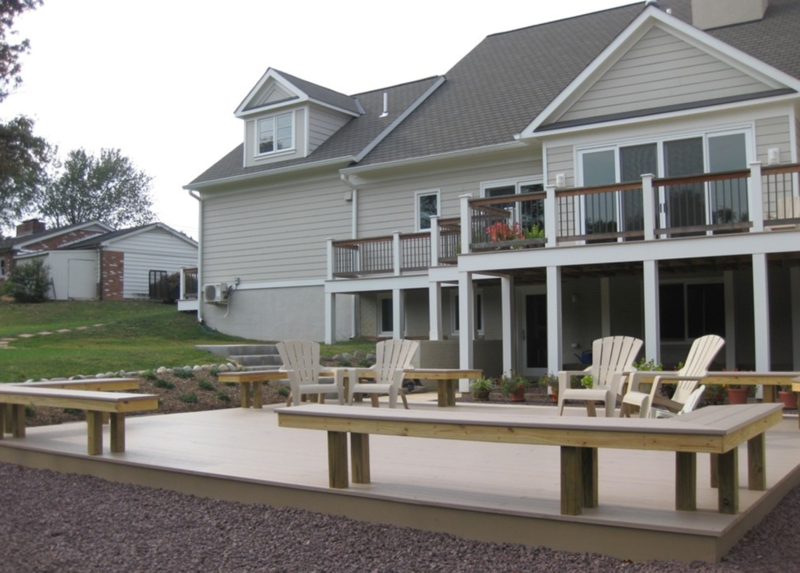 Rinsing away mold, mildew, and dirt from siding, poolside areas, patios, and more is never a bad idea, and will actually prolong the life and health of the substrate. 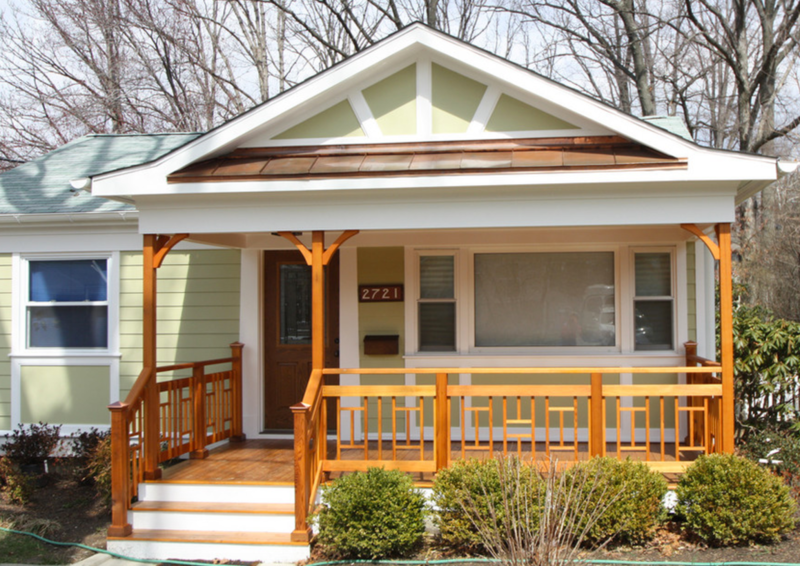 A porch can be a major selling point, or it can be a major eyesore. Repairs, painting, and staining is an investment that will certainly pay you back. 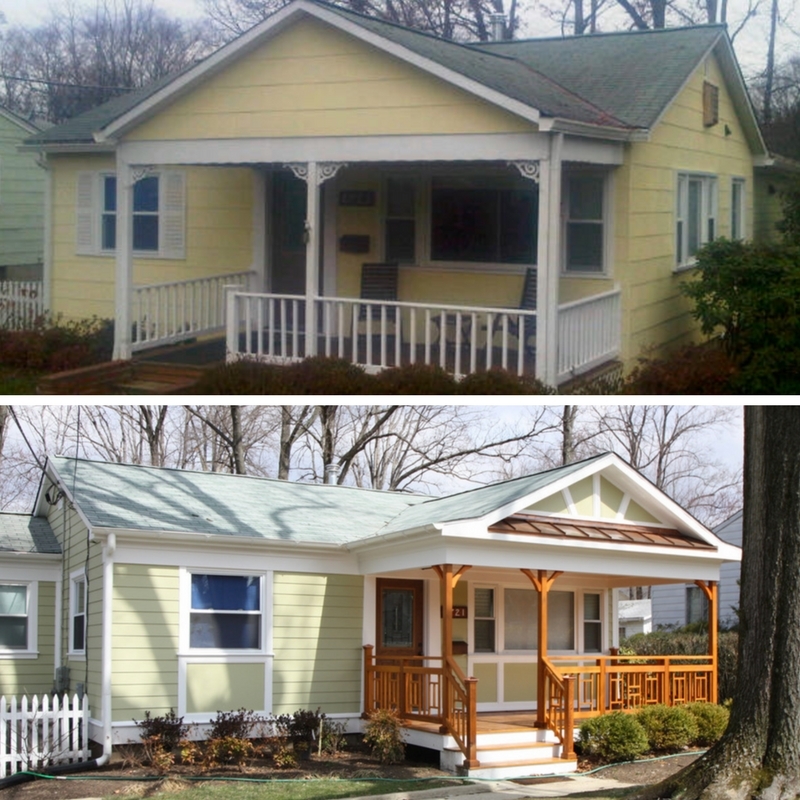 As a case in point, take a look at the drastic transformation we created for the home above! Much of the improvements center around that attractive, stylish porch. Caring for and investing in your home is always wise, especially when increasing marketability is a goal. If you live in the DC metro area, we hope you’ll consider calling us at Stohlman & Kilner Remodeling Contractors. It would be our pleasure to serve you!